Have you suffered investment losses in Reef 2011 Private Drilling Fund? If so, the securities attorneys at The White Law Group may be able to help you through FINRA Arbitration. Reef 2011 Private Drilling Fund is an oil and gas private placement investment sponsored by Reef Oil and Gas Companies, based in Richardson, Texas. The company engages in oil and natural gas exploration, production and property acquisitions. The White Law Group is investigating the liability that brokerage firms may have for recommending Reef 2011 Private Drilling Fund to some clients. Oil and gas private placements are high-risk, speculative investments that are unsuitable for many investors. This type of investment is also exempt from registration with the Securities and Exchange Commission. They lack the same regulatory oversight as more traditional investments. 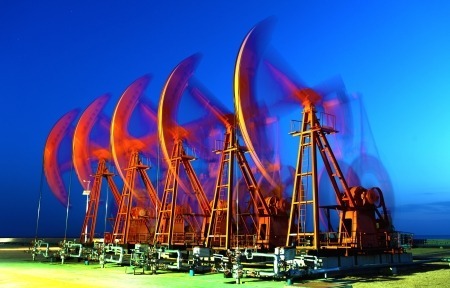 In light of the decline in the overall health of the oil and gas market, many oil and gas LPs are suffering and some are on the brink of default, or worse yet, bankruptcy. While such an outcome is extreme, it is not unforeseen and only highlights the unsuitability of these investments for most retail investors – particularly in large concentrations. Brokers often understate and misrepresent the risks associated with oil and gas private placements. While oil and gas partnerships can be lucrative, they are extremely speculative investments that often lack liquidity. Investors are often risking total losses of their investment. Brokerage firms that sell oil and gas private placements, like Reef 2011 Private Drilling Fund, have a fiduciary duty to perform adequate due diligence. They must determine if the investment is appropriate for the client given the client’s age, net-worth, financial objectives, investment experiences, financial needs, and risk tolerance. Is a Private Placement Investment Suitable for you? Unfortunately, the high sales commissions associated with oil and gas investments often provides some brokerage firms with enough incentive to overlook suitability requirements. If a brokerage firm makes unsuitable investment recommendations or fails to adequately disclose the risks associated with an investment they may be liable for investment losses. To determine whether you may be able to recover investment losses incurred as a result of your purchase of Reef 2011 Private Drilling Fund, please contact The White Law Group at (312)238-9650 for a free consultation.